November 15, 2015 /Photography News/ The Manuel Rivera-Ortiz Foundation for Documentary Photography and Film aspires to encourage a new generation of photographers and filmmakers, armed with only a camera and a vision of a better world, to take to the streets every day and document humanity on the move. By rewarding the dedication and determination of emerging photographers and film makers, the foundation’s mission is to support photo and film reportage as a catalyst for change and social justice in communities where needs are most pressing. 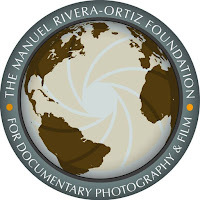 The Manuel Rivera-Ortiz Foundation for Documentary Photography & Film will award one $5,000 USD grant to one documentary photography project based on the quality of the submitted 15-image portfolio, the strength of the submitted proposal, as well as any supporting materials including an updated CV. The “Top 12″ shortlisted portfolios will be featured and displayed during Les Rencontres d’Arles (Arles, France) at their new 18th century facility and foundation home located on 19/21 Rue de la Liberté/14 Rue Barrême. The selected project must be completed the calendar year following receipt of the grant. Grants are open to professional and emerging photographers in all countries. Photographers are expected to be committed to the field of reportage and documentary photography. Group entrants are permitted. One submission set of requested documents will be necessary for each member of a group or team. There will be only one grant issued regardless of the number of photographers involved in the submission. Submissions begin November 1st of each consecutive year. The blog post that reveals all nuances of essay and paper assignments writing services could be found here: http://essayservicereviews.blogspot.com/. You will definitely know about the issues that may happen or be prepared to the asked questions. يمكنك مع شركتنا المتميزة ان تطلب فريق العمل الخاص بافضل شركة تنظيف بالمدينة المنورة باقل الاسعار واعلى الخدمات المميزة من شركتنا باسعار قليلة جدا ..